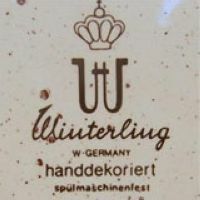 The Winterling brothers were from the same family as Heinrich Winterling who since 1903 owned his own porcelain factory in Marktleuthen (Bavaria) with the name of ⇒Heinrich Winterling G.m.b.H. & Co. KG. Against common belief these two companies did not belong together even if they later on used nearly the same marks, that agreement had been made for marketing purposes only. 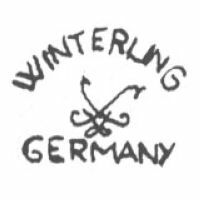 The history of the Gebrüder Winterling company started in ⇒Röslau, located in the heart of the so-called 'Fichtelgebirge' in the Upper Franconia area of Bavaria. 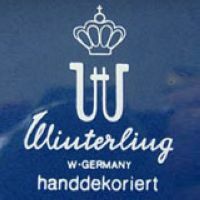 The seven Winterling brothers founded the Gebrüder Winterling ⇒O.H.G. in 1907 with a newly built facility for porcelain production. As business went well straight from the beginning, the facility was upgraded and expanded quite often. 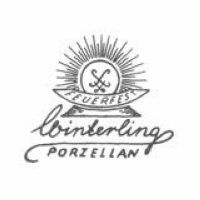 In 1917, the company took over the ⇒Porzellanfabrik Oscar Schaller & Co. in Schwarzenbach (Bavaria). The upward trend was so promising that they bought and converted the textile factory in ⇒Kirchenlamitz (Bavaria) in 1920 and took over the company ⇒Porzellanfabrik Eduard Haberländer in Windischeschenbach (Upper Franconia, Bavaria) in 1929. These extensions of the parent firm were all kept under the name of Oscar Schaller & Co. ⇒Nachfolger until 1950 when the company reached corporation status with the main shareholders being the Winterling family members themselves. All daughter companies were re-named to Gebrüder Winterling ⇒A.G. and the marks used up until then were changed. 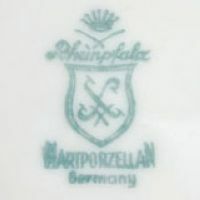 In 1954 they opened the fifth facility in Bruchmühlbach, which also produced porcelain and stoneware, but actually from 1972 onwards completely specialized on 'Feinsteinzeug' (fine stoneware) up until 1995 when it was closed for economic reasons. 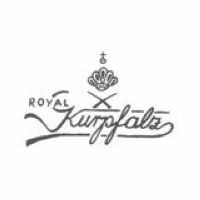 Used between 1951 and around 1972 on export items, crown over 'ROYAL KURPFALZ'. 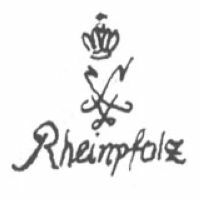 Used between 1951 and around 1962, basic crowned Schaller mark over 'RHEINPFALZ'. 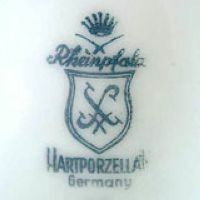 Used between 1951 and around 1972, 'RHEINPFALZ' over 'HARTPORZELLAN' and 'GERMANY' (green version). Used between 1951 and around 1972, 'RHEINPFALZ' over 'HARTPORZELLAN' and 'GERMANY' (blue version). 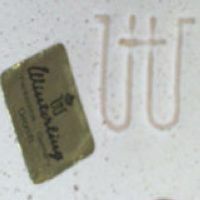 Used between 1972 and around 1984, 'WINTERLING' over the old Schaller mark. Was used with or without 'GERMANY'. Used between 1972 and around 1995, Schaller mark above 'FEUERFEST' above 'WINTERLING' and 'PORZELLAN'. 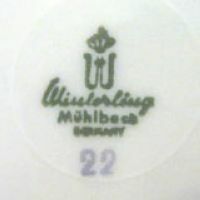 Used between 1954 and 1995, crowned 'W' over 'WINTERLING' and 'MÜHLBACH'. 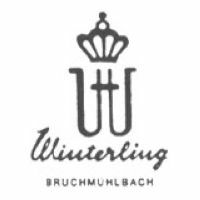 Used between 1972 and 1995, crowned 'W' over 'WINTERLING' and 'BRUCHMÜHLBACH'. Used between 1972 and 1995, crowned 'W' over 'WINTERLING', 'W. GERMANY' and ⇒HANDDEKORIERT. Used between 1972 and 1995, this time with additional ⇒SPÜLMASCHINENFEST. 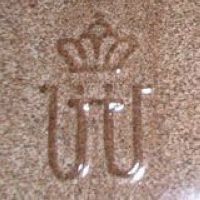 Used around 1965, impressed version on a piece made of fine stoneware. No date known, uncrowned impressed 'W' and sticker reading 'WINTERLING FEINKERAMIK GERMANY GEPRÜFT'.